How To Use the DISM Command to Fix Windows 10? Wally’s Answer: The DISM (Deployment Image Servicing and Management) command line tool can be used to repair Windows Vista, Windows 8.1, and Windows 10. It can be used to fix the Windows installation if the SFC command fails to solve the issue. Here, we will be looking at how to use it step-by-step with images. First, we will look at the SFC command, and then we will use the DISM tool if needed. When To Use SFC and DISM Commands? 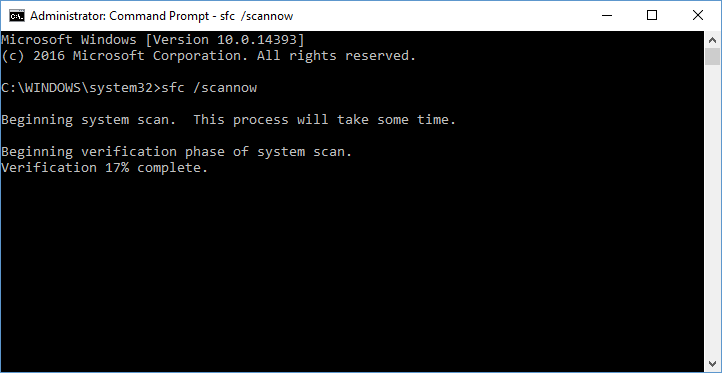 If your computer appears buggy, then you can use the sfc /scannow command (as shown below) to fix most Windows errors. If the sfc /scannow command doesn’t fix the problem, then you can try repairing the ”Windows Recovery image” by using the DISM command. How to use the SFC /Scannow Command? The SFC command scans all Windows system files and replaces any damaged files after comparing them to the “Windows Recovery image”. Go ahead and use this command right now and see if it fixes the problem. In case the ”Windows Recovery image” is damaged, the SFC command will not be able to fix the problem. Thats where the DISM command comes in. What is the DISM Tool? DISM is a command line utility it stands for Deployment Image Servicing and Management (DISM). It can be used to repair Windows images, Windows virtual hard drives, Windows Recovery images, Windows PE, and Windows setup. The is important because it is the image (copy) of your installation of Windows. How To Fix “Windows Recovery image” Using The DISM Tool? Wait until the scan is finished. This can take 30 minutes or more. DISM will try to use Windows update to replace the damaged files. If you don’t want to use the internet, then please read a more comprehensive guide on howto use the DISM tool here.